Finding Drivers has never been easy like this. Million of drivers - updated daily. Happy New Year ! We are glad to release MyPCDrivers version 4.3. This is a big improvement comparing to older versions. Your Drivers will be easily identified. MyPCDrivers.com - a new tool for you. MyPCDrivers is a professional software to detect your hardware devices. By using latest hardware scan technology , plus a huge database for all devices from all manufacturers , MyPCDrivers is proud to be a part of your driver favorite tools. DO YOU KNOW WHAT DEVICE DRIVER IS? Is this what we usually see when installing a new computer or install a webcam. Device drivers generally either come with our operating system, or we install them from a CD. But, like any software, drivers are upgraded and updated, by the manufacturers, to remove bugs, add extra functionality to the hardware or to improve the performance of the device. Unless you update your drivers regularly you may face problems ranging from the relatively minor such as having hardwarethat seems buggy and poorly performing, to the more major such as hardwarefailures, conflicts and complete system crashes. Most of the drivers can be downloaded from the manufacturer websites, but it's a difficult task because some time you even don't know the manufacturer name or the manufacturer has stopped their business. The driver is not compatible with the OS and hence it is not ableto inform Windows about the hardware. This is common if aWindows 9x/ME driver is installed on Windows 2000/XP. 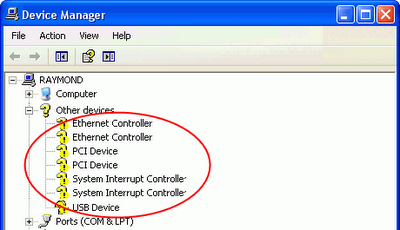 Each hardware component should normally communicate a basic device ID to Windows. If the hardware does not have this device ID or Windows does not recognise the device ID of the hardware, then the device is listed as unknown. - Over million of drivers in its database , and it continues updating daily. - Latest driver scan technology so it will give you the most correct drivers. - Supports both 32bit and 64 bit operating system.